May 19, 2016  Dylan's song of lost love surfaced again and again in Johnny Cash's career. 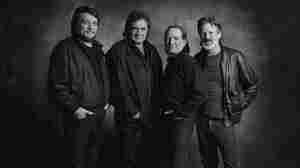 A newly released cover by the Cash-led country supergroup reaches across decades. November 3, 2008  A stalwart of the outlaw country movement in the 1970s, Jennings bucked the conventions of Nashville with a tough sound and attitude. 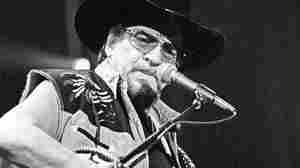 He died in 2002, but his son Shooter, now an outlaw country star in his own right, has just released a collection of songs he made with his dad in the mid-'90s — the last recordings Waylon Jennings ever made. October 2, 2012  Known for his gritty baritone, Jennings embodied the outlaw side of country music. He was 64 when he died of complications from diabetes, leaving behind a collection of vocal tracks that remained unfinished until now. October 2, 2012  Sometimes, your three-year-old son becomes convinced he's friends with an outlaw country superstar. 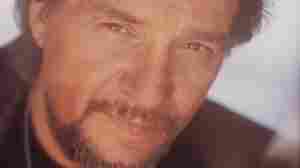 September 1, 2010  In 1996, country star Waylon Jennings, who helped found the "outlaw country" movement, joined Terry Gross for a discussion of his music, his work with Willie Nelson and Buddy Holly, and his time spent working in Nashville in the 1970s. 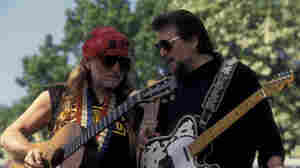 January 15, 2009  In an interview with host David Dye, Shooter Jennings talks about Waylon Forever, a collection of songs he recorded with his father Waylon in 1995. Shooter then revisited the material with his backing band, The .357s, to release a ramshackle revival of his father's classic outlaw country.